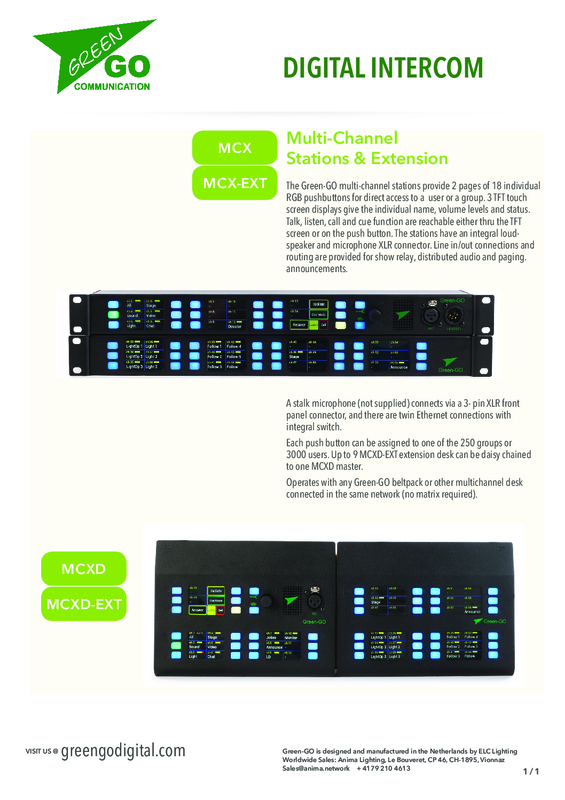 The MCX multi-channel rack station offers direct access to up to 32 groups or users on two levels. As usual for Green-GO, intercom, cuelight functionality and text messages are standard features. A line input and a line output allow audio signals to be fed in. In addition, the GPIO connection offers further individual possibilities for operation. 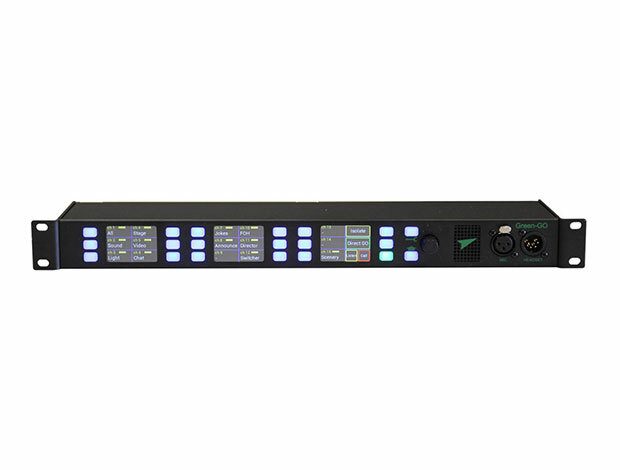 The Green-GO rack station can be used with headphones or the built-in loudspeaker and gooseneck microphone. Since every Green-GO device is equipped with the Green-GO engine and stores and processes the complete configuration locally, no additional central unit (master station, matrix, etc.) is required.